Lately Apple has been trying its hand at first party case solutions. It stated with the bumper on the iPhone 4, carried over to the original iPad, and continues now with the iPad 2. Bumpers were an interesting idea, though clearly designed to mitigate unintended antenna attenuation from holding the phone in your hand, and the first iPad case, while novel, never felt quite right in the hands and had an unhealthy attraction to table crud. I also go over smart covers in our video review. Third time's a charm, and this time they're both better engineered and endowed with the magic of magnets - they're called called smart covers. I told Anand that I wasn't going to buy another expensive first party cover at launch just because there weren't any other options, yet here I am with a black leather smart cover. 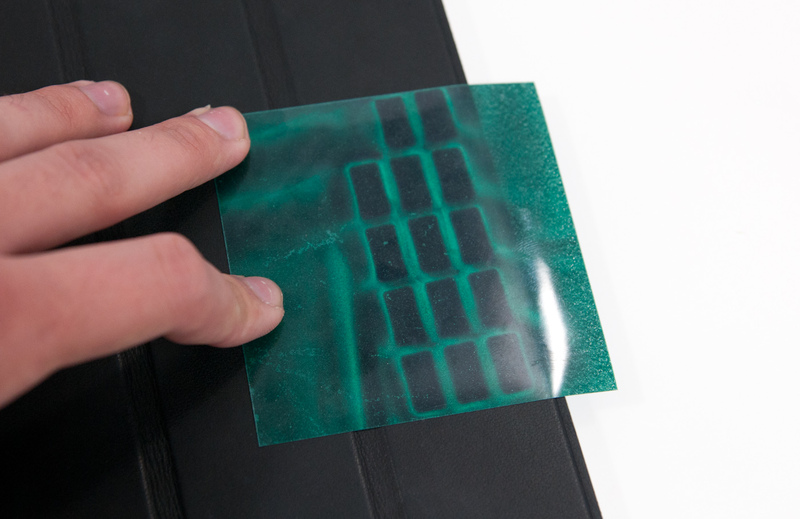 Smart covers come in two materials - polyurethane and leather. There are five neon polyurethane colors and five more subtle/traditional leather colors. Polyurethane runs $39.00, leather will cost you a somewhat staggering $69.00. I opted for the black leather, Anand opted for neon orange and blue to match the official AnandTech color scheme (why didn't I think of that?). 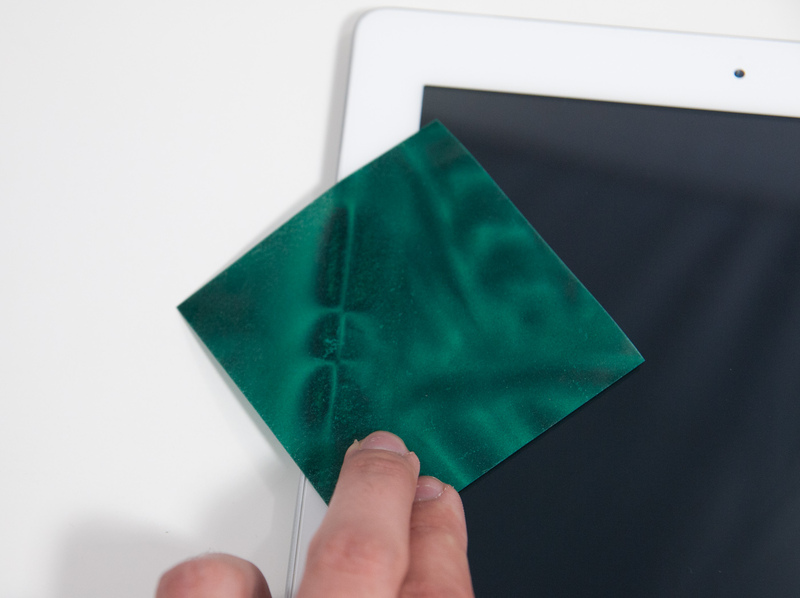 The polyeurethane covers have a soft textured feel to the front and get the job done at the same price as the first Apple iPad cover. The colors aren't quite as saturated as you'd expect (it's more of a light blue and creamsicle rather than neon blue and lambo orange) but they still look pretty good. The leather version feels and looks real, and passes the standard sticky test for leather. 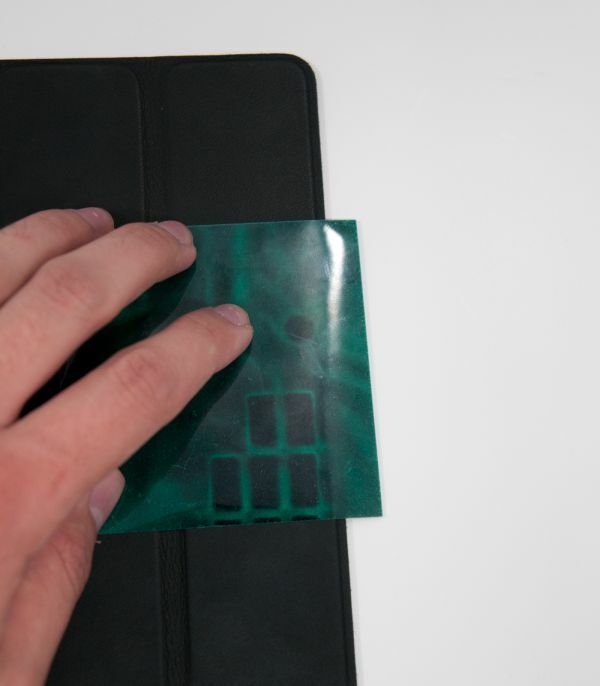 The outside of the cover is the actual leather surface, whereas the inside is a soft microfiber material. Both the polyurethane and leather models have this microfiber interior. The benefit is that it does keep the screen somewhat clean, the only downside is that it doesn't clean along the vertical strips where the smart cover folds. After a couple of days, you end up with some vertical strips of greasiness punctuated by thick ones of clean. 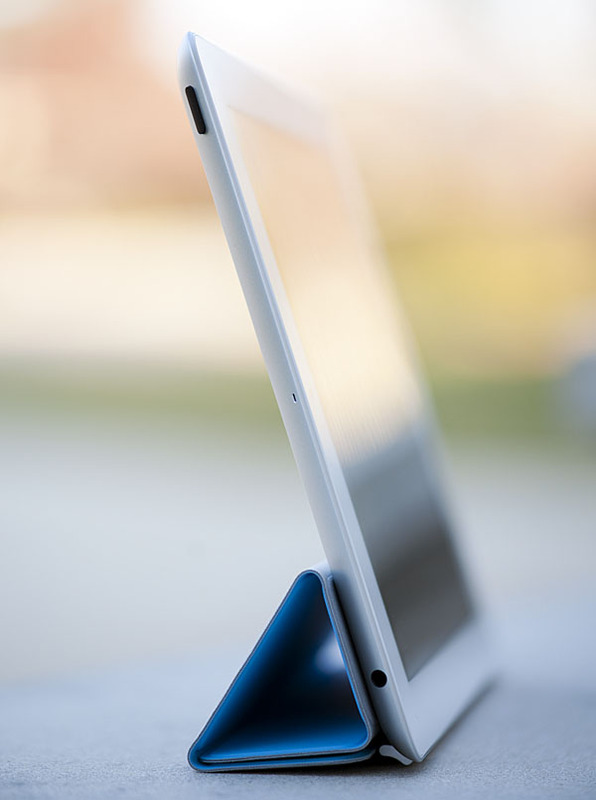 The smart cover aligns and attaches to the body of the iPad 2 using six magnets along its side that line up with a similar set of magnets on the device. When I acquired the smart case at launch, I immediately set out to determine what magnetic wizardry was at play and borrowed some magnetic viewing tape from my friend Alex (who wrote the glass section). Also no, the smart cover does not work with the iPad 1. You can clearly see the set of magnets on the iPad 2 and smart cover that are used for alignment using the magnetic viewing film. This strip is from United Nuclear, but there are other vendors online. 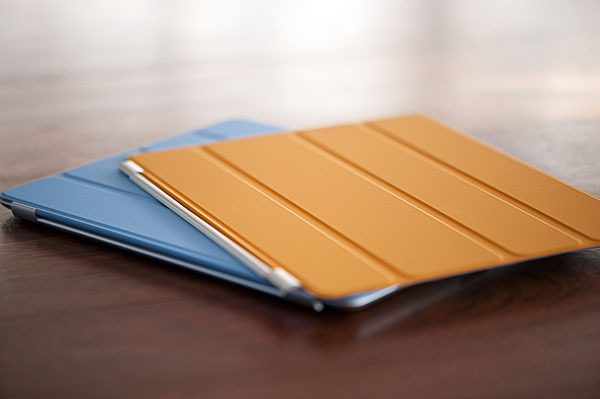 There are two visible sets of three magnets on the iPad 2 which mate up with corresponding patterns of magnets on the smart cover. 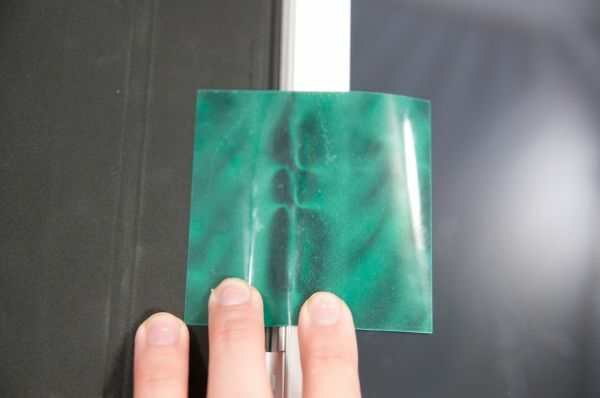 The magnetic viewing film is comprised of tiny beads with a small nickel filament inside, and are suspended in a fluid between two transparent polymer sheets. One side of the bead is reflective and appears light green, the opposite side is matte and appears dark green. The nickel filament orients along the magnetic field, and just like that we can see it. 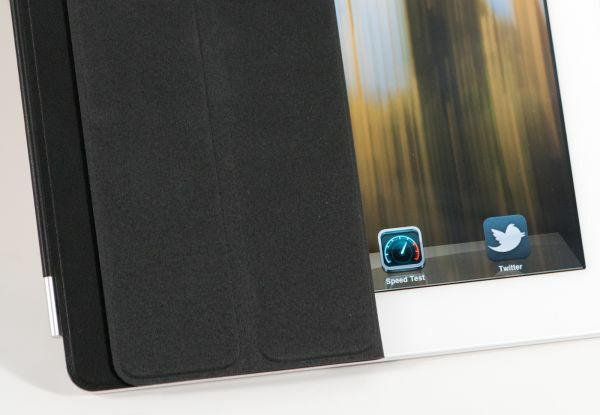 The iPad 2 also has magnets on the far right side to keep the smart cover latched closed. These mate up to an appropriate set of magnets on the smart cover. Inspecting the smart cover carefully also shows a circular magnet which is used to trigger the iPad 2’s magnetic lock sensor. 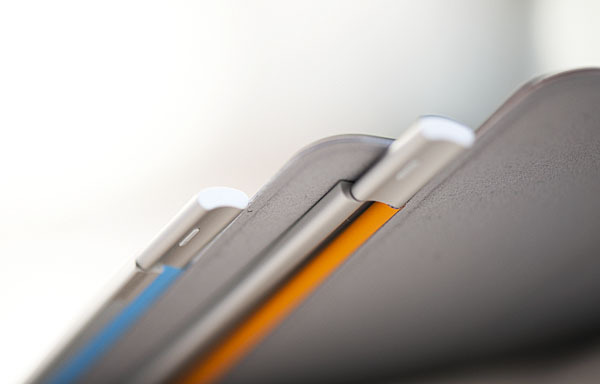 The circular magnet above the strips of bar magnets is used for signaling the closed/lock sensor on the iPad 2. Unsurprisingly, you can also make MacBooks and MacBook Pros that use the same kind of magnetic latch sensor go into standby by waving the smart cover or iPad 2 over just the right place. There’s an excess of magnets on the far right of the smart cover to hold the flap in position when rolled upon itself. The only other unintended consequence of putting so many magnets in the iPad 2 is that it sticks to every ferromagnetic surface. The cafe I frequent has metal tables, and the iPad 2 literally sticks to the surface until you yank it off. The first time you fire up the iPad 2, the area in general settings lacks any toggles for the smart cover lock. After you attach the smart cover and activate the sensor once, a new toggle appears. It's one of those subtle things that Apple does which fits with the - keep extraneous settings and indicators hidden when they're not actually doing something - philosophy. Left: Before attaching the smart cover for the first time, Right: After attaching the smart cover. The smart cover can be rolled onto itself and into a triangle, which then angles and supports the iPad at 15 degrees for typing on a flat surface. Push the iPad 2 further, and it'll stand upright at 115 degrees for use as a more traditional display, say if you have the Bluetooth keyboard or want to use it to watch movies. 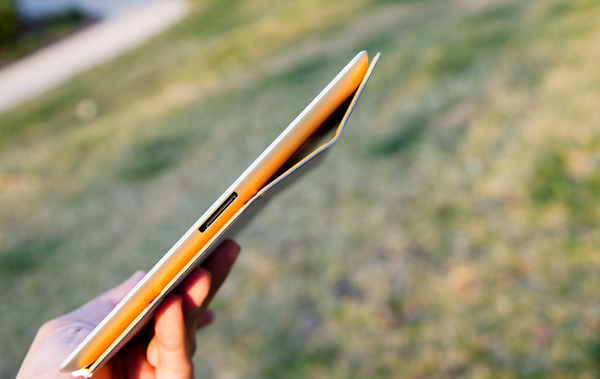 The smart cover, while novel, has a few puzzling flaws. First up is what position to put the flap when the cover is opened and held in the hands. Folding the smart cover around to the back works, but magnetic attraction is weak and flap doesn’t stay in place at all. This is how users place the flap in videos on Apple.com and in marketing materials. The cover also makes it difficult to access the power and volume buttons in this position, though admittedly locking functionality with the smart cover should be left to the flap. Left folded completely over, the second problem is that the cover then completely occludes the iPad 2’s rear facing camera. The other option is to fold the cover in half, which is probably the best solution. You don’t cover up the camera, and the cover doesn’t flap around as much. It still isn’t entirely secure, however. Third, the smart cover leaves you with the same limitation as the first Apple iPad case: there's no way to make the iPad 2 stand up in portrait mode. There are a couple of landscape options as we described earlier but if you want to prop up the iPad 2 in portrait mode you're out of luck. The final problem is that the smart cover doesn’t protect the rear of the iPad 2, which any iPad user will tell you is the surface that immediately starts to show aging from scuffing, scratching, denting, and white aluminum oxide from handling. Aluminum is a soft material, and while the iPad 2's aluminum seems to be harder and less porous than the MacBook Pro, it still picks up table crud like nobody's business. 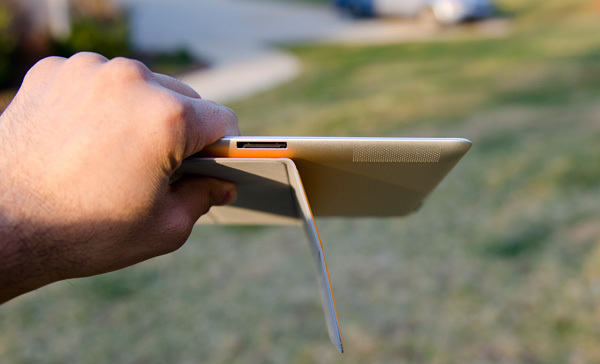 It’s frustrating because the smart cover is otherwise one of the most innovative parts of the iPad 2 experience. As a stand, the smart cover is excellent, and it’s also nice to see Apple finally adopting some magnetic signaling for when to lock the device. Any Blackberry user will tell you this isn’t anything new at all, but execution here is indeed awesome.